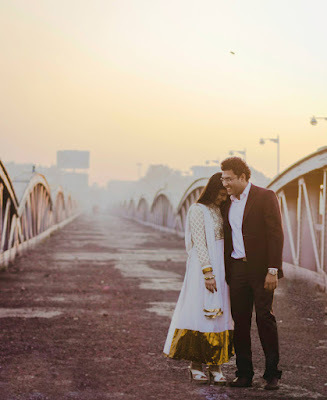 The Marriage season has arrived and lots of fun activity related to Marriage comes in our mind instantly. 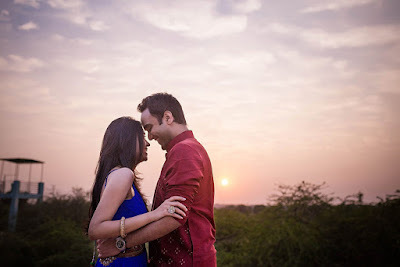 But the best thing which all couple hunt for is "Pre-Wedding Photo Shoot" and what can be great, if you are lucky enough to shoot your pre-wedding near Ahmedabad. 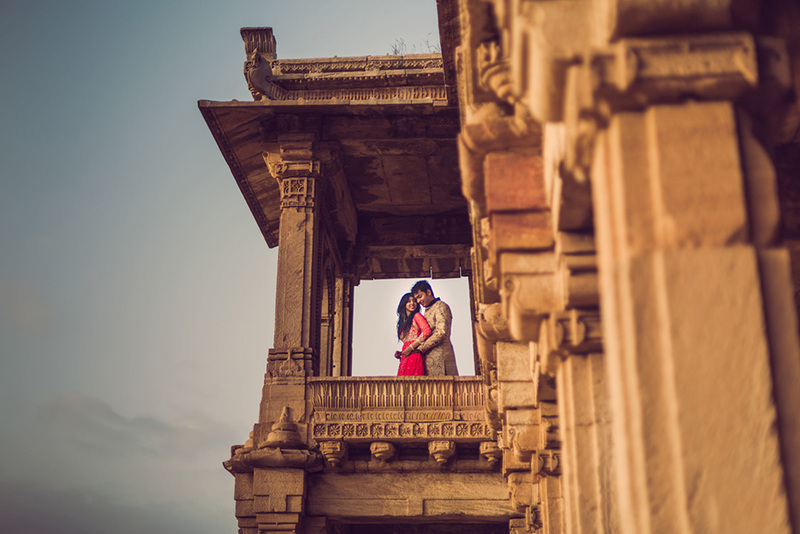 The Natural Beauty and well-maintained property attracts lots of engaged couple to visit and have fun clicking photos at this locations. Here is the list of 10 places where you can visit for Pre Wedding Photo Shoot In Ahmedabad. Ellis Bridge is an old historical bridge which connect old and new Ahmadabad city. The bridge was build during British rule in India. The Construction of bridge started from 1889 and get ended on 1892. The bridge is made of metal steel which gives a view of an arch. This bridge is made on Sabarmati river and provide amazing view to capture great pictures for Pre Wedding over Ellis Bridge. sanctuary beside the lake, the area is spread over 116 sq.km. This place attract more tourist because of vivid of birds that migrate from siberia . While visiting this lake you can see variety of birds which include ducks, flamingos, pelicans, geese and etc. agriculture land which is surrounding the lake. Also it provides good amount of food for number of birds. You will notice bunch of bird flying together, best crafted graphical pattern on the sky and Cranes keep waiting for fishes and small insects. Its main aim is to promote tourism and preserve the river. The sabarmati riverfront consist of a walkway beside the river, Gardens, amusement park, golf courses and also provide watersport park. Every year in the month of january, the riverfront is decorated to celebrate the Internation Kite Festival. The citizen of Ahmedabad can enjoy walk and boating rides along the river between Gandhi Bridge and Vasna Barrage on West Bank. 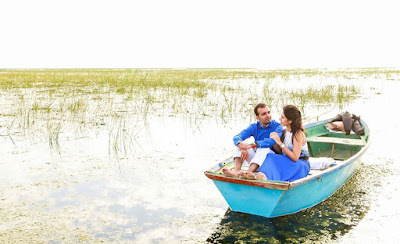 Kankaria lake is located in Maninagar area. 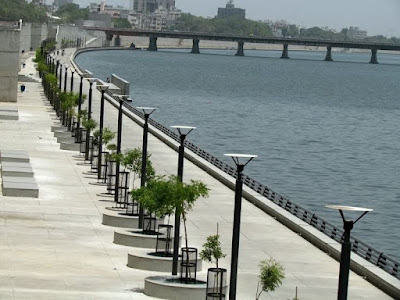 It is the Largest lake in the Ahmedabad city and also a great place to hangout with your friends or family. The front of lake is well developed by Zoo, aquarium, Butterfly park, food stalls. 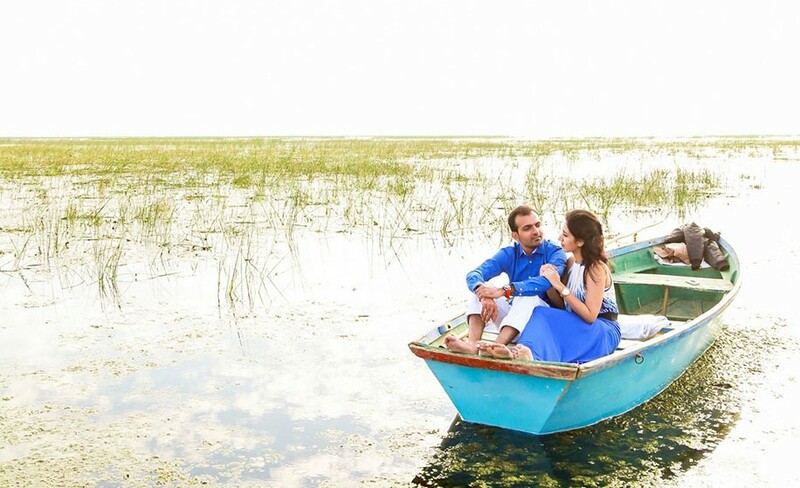 Also you can enjoy the Mini Toy train ride to explorer this beautiful kankaria lake. It is big circular lake and from one point there is place to visit Naginawadi garden which is present in the middle of Lake. architect Balkrishna Vithaldas Doshi. The cave like underground structure has a roof made of multiple interconnected domes which is covered by mosaic of tiles. Earlier the Gufa was know as Hussain-Doshi ni Gufa. Inside the Gufa you will find a irregular tree like columns which supports the domes. There are facilities for special painting exhibition and for projecting films for tourist. Also garden and cafe are located above ground. placed is build by Mohammad Shah in his honour. Rani Roopba by taking help from neighbour Muslim ruler king Mehmud Begad. 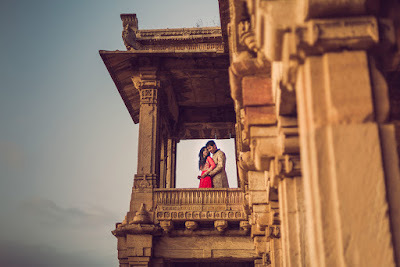 It is also know as Adalaj Stepwell which has history full of drama and bollywood like twist and turns. The structure of Adalaj Vav is built with Solanki style of architecture with Islamic influence. It consist of five storage, each is designed with beautiful carvings all over the walls and columns. Indroda Park is loacted in Gandhinagar which is the capital city of gujarat. This park is divided into two parts on the banks of river Sabarmati. The western part is know as is known as Indroda Nature Park and the eastern part of the river Sabarmati is known as Wilderness Park. The park is spread over an area of 400 Hectors. 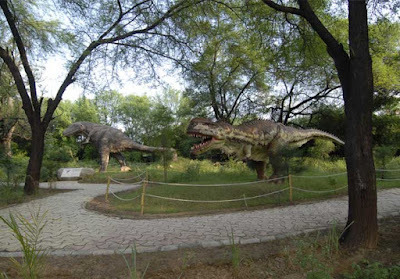 The park consist of a zoo, big skeleton of sea mammals like blue whale. Also it include a vast botanical garden, amphi-theatre and some camping facilities. with a purpose to protect the Indian wild animals. It is the largest wildlife sanctuary in Gujarat. There are total 3000 wild animals in the sanctuary. To experience best of Wildfife sanctuary, one should go for a Jeep safari tour. Tourist Tourists who are visiting the sanctuary can book their stay in the resorts and hotels nearby the sanctuary.